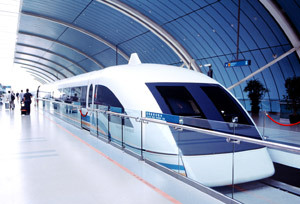 Rail Transit: Our company has a perfect system covering design, manufacture, system integration and testing in ventilation equipment application filed of rail transit. By great technical advantages of intelligence, high efficiency and low energy, our company won the zhejiang province scientific and technological progress first prize, the honor for the current domestic ventilator industry's top awards.As of June 2013, the company rail transit ventilation system has been successfully applied in Beijing, Shanghai, nanjing, hangzhou, shenzhen, Singapore and so on more than 40 subway lines other than more than 80 tunnel programs such as ZheJiang Zhu Yong expressway ,Da Cheng railway and so on. According to the statistics from domestic authorities for ventilation products industry application situation, company’s rail transit productions no doubly rank first in market ownership.